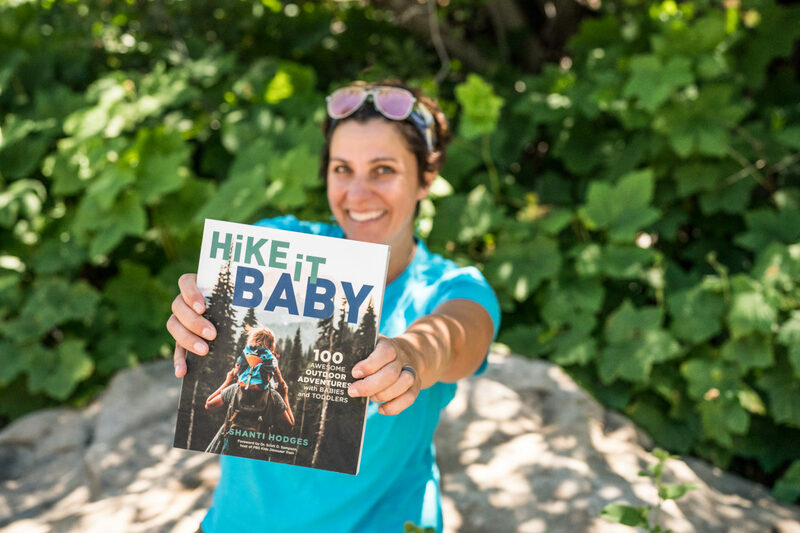 Hike it Baby Founder Shanti Hodges and her family are headed out on the road this summer for five weeks to promote her new book “Hike it Baby: 100 Awesome Outdoors Adventures With Babies and Toddlers”. 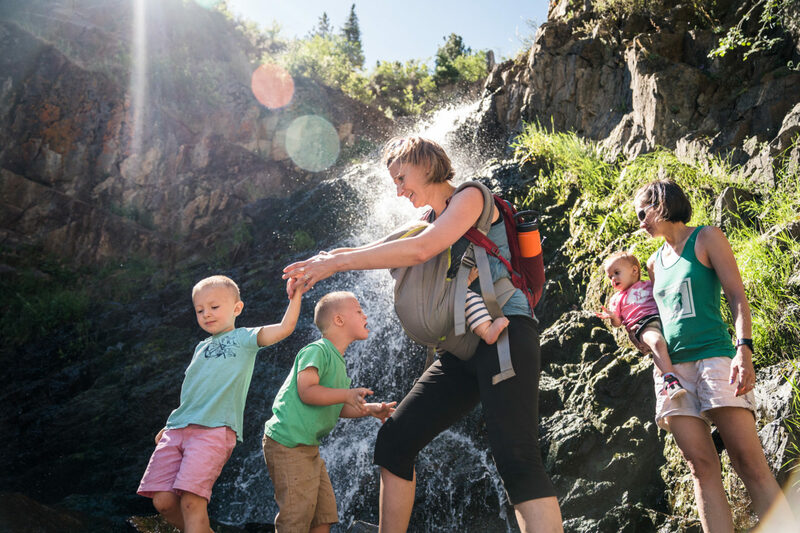 The five-week Hike it Baby Book Launch presented by Subaru is a camping and hiking adventure where the Hodges family will meet up with Hike it Baby communities throughout the Rockies and Midwest. The goal is to visit a number of locations written about in the book and get a tour from locals. The book is based on a year-long project where Shanti crowd sourced family friendly favorite Hike it Baby adventures through the community nationwide. She received closed to 300 hikes and had to narrow it down to 100, a major task considering there were so many choices. 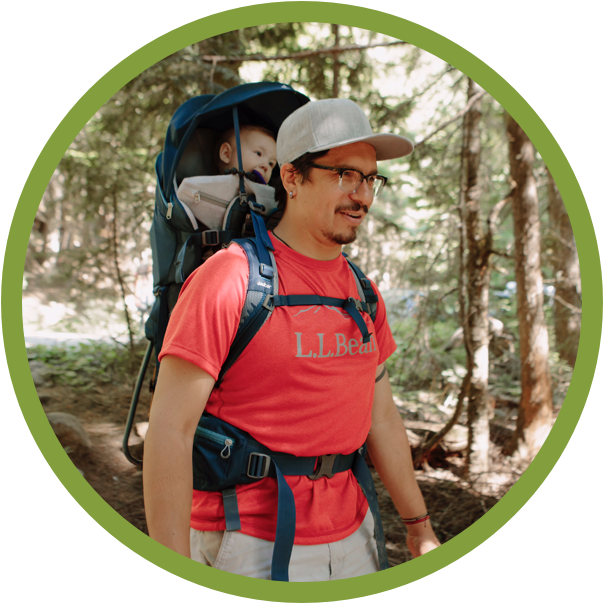 This guide is just the beginning for Shanti’s vision of helping families find easy to access trails for babies and new little walkers. 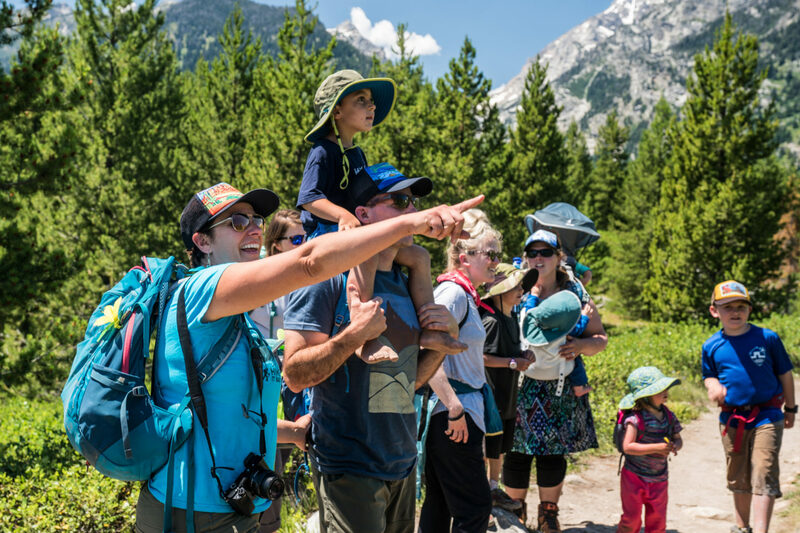 One of the things that the Hike it Baby community identified over the last five years since the organization began was how families were often limited because they just weren’t sure if “family friendly” really applied to their family with little kids heading out on the trail. 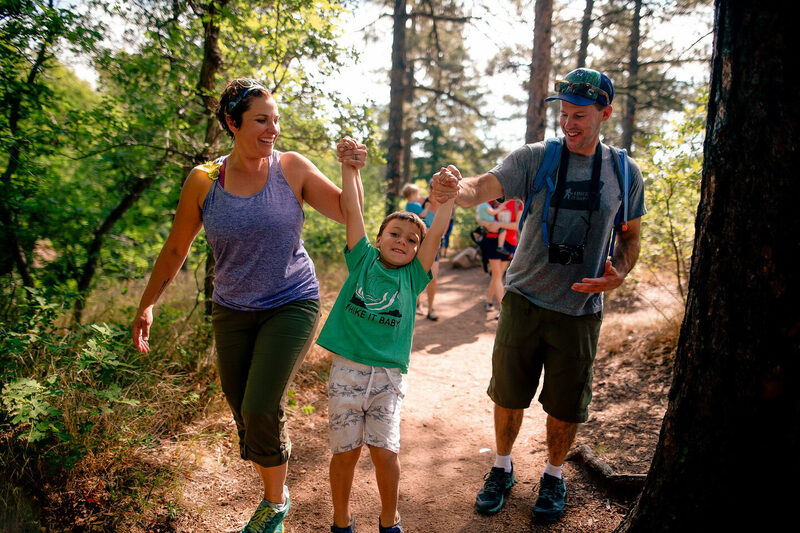 A comprehensive guide and a community offering regular hikes is definitely a first step in opening up trail access for families with young kids. 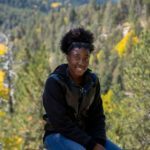 Shanti is hoping by touring around the country and meeting with families all over, she can dream up new ways to encourage more family participation through education, outreach, trail guidance and community development. Check the schedule below and join them at one of their stops for a hike. 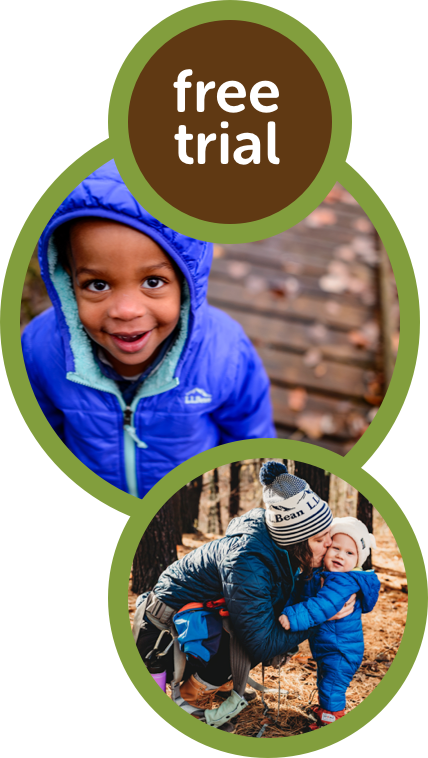 THE HODGES family is on a mission to build communities, both online and offline, that help connect people to nature. 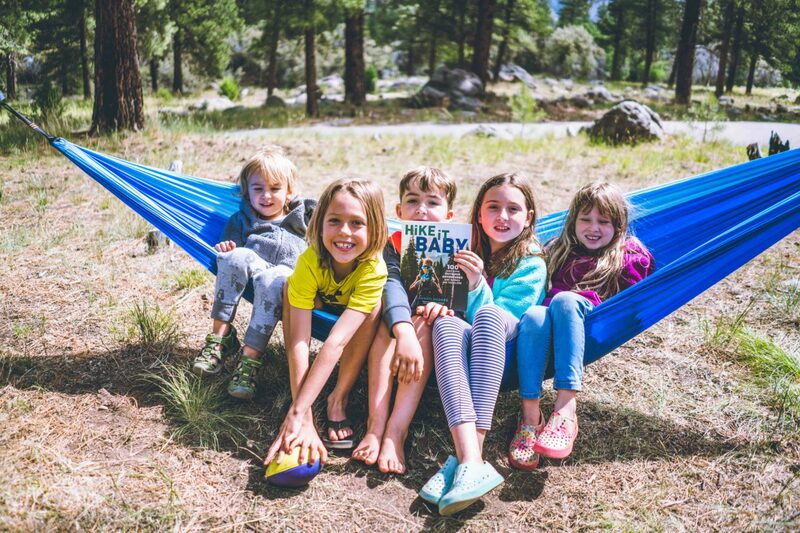 In 2013 just after Mason was born, they founded Hike it Baby, a nonprofit dedicated to helping families with babies and toddlers find each other in the outdoors. The initial idea was to create an online space for families to find each other and then go meet up on trail with young children. As Mason got older and began walking, Shanti and Mark realized there weren't many resources out there to help them get on trail. While there were great guides, Mark would spend hours researching their next adventures and it was still a crapshoot on whether it would work with Mason. 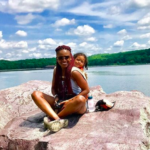 So Shanti decided to write a book using the Hike it Baby community as a resource to help their family and others find trails wherever they went. 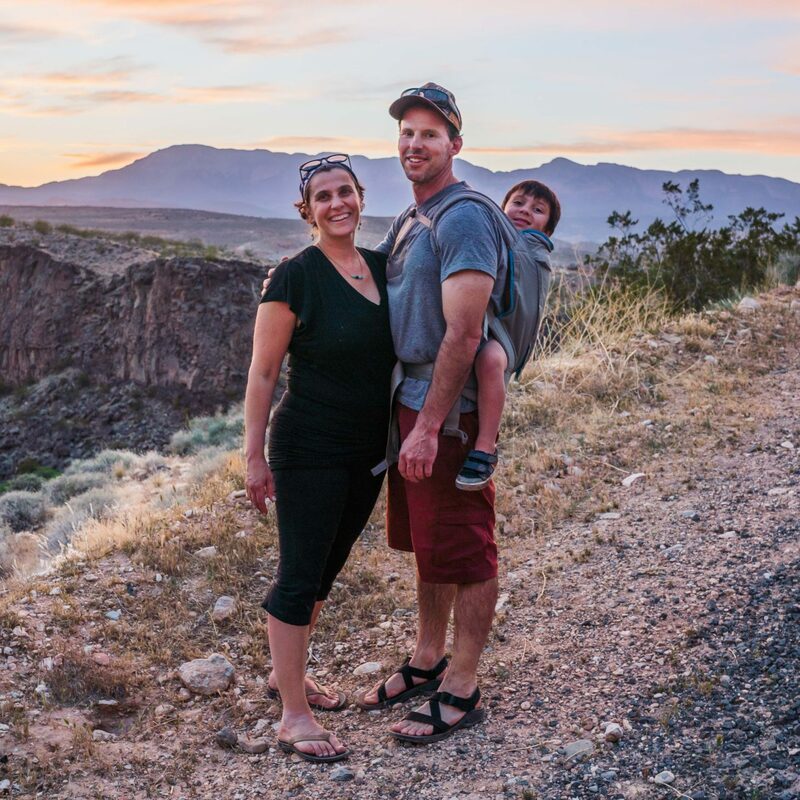 Over the last few years the Hodges have hiked extensively throughout the Western US, Alaska, Canada and Baja, Mexico. They have also met up with Hike it Baby members throughout the US. 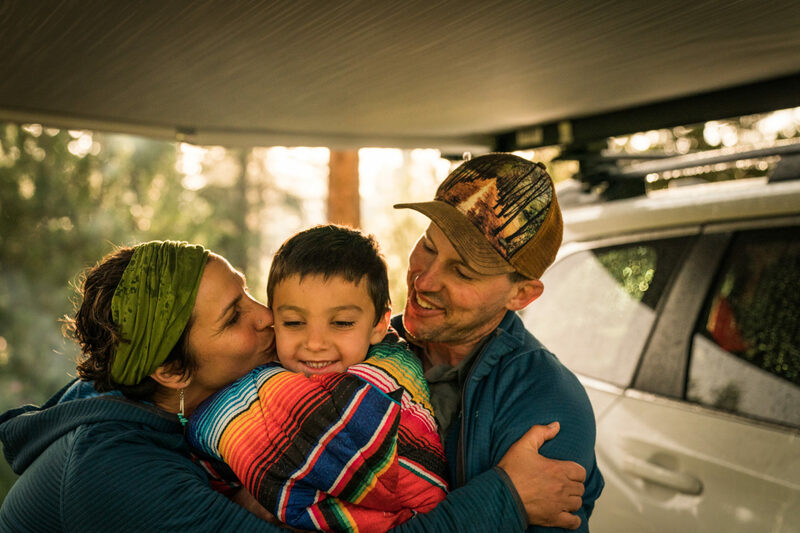 Shanti and her husband Mark and their son Mason split their time between Portland, OR and La Verkin, Utah (Zion National Park area). 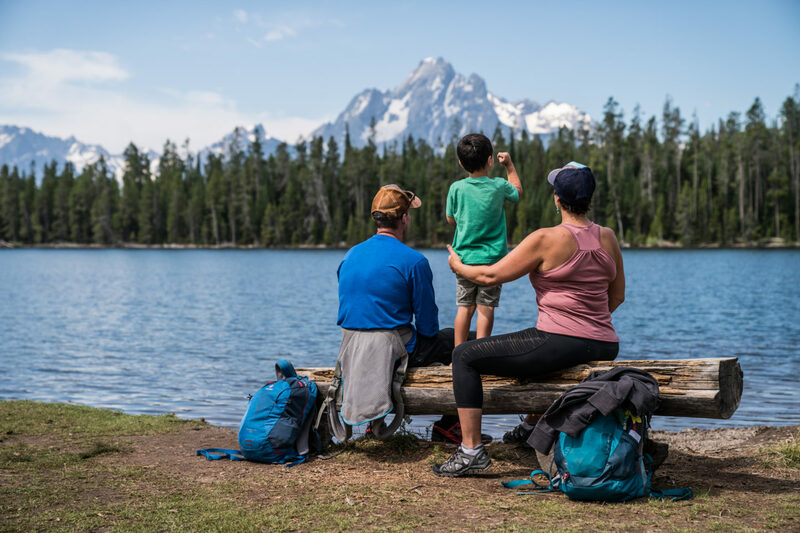 She enjoys watching their son Mason fall in love with nature on their frequent adventures camping, rafting, biking, and of course, hiking in the outdoors. Shanti hopes to help families discover easy ways to connect with and enjoy nature as often as possible because she truly believes the love found there can change the world. Want to follow any of Shanti's other endeavors? In 2016 she began hosting an annual family camping festival (familyforestfest.com) in Oregon. 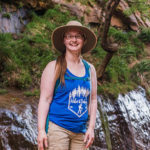 In 2018 she began hosting retreats in Southern Utah (hikingmyway.com). The Marko Family loves to explore by foot, canoe, and bike. Maura is a writer and stay at home parent and Bobby is a Designer. Together they have two children; Jack (age 4) and Rowan (age 1.5). 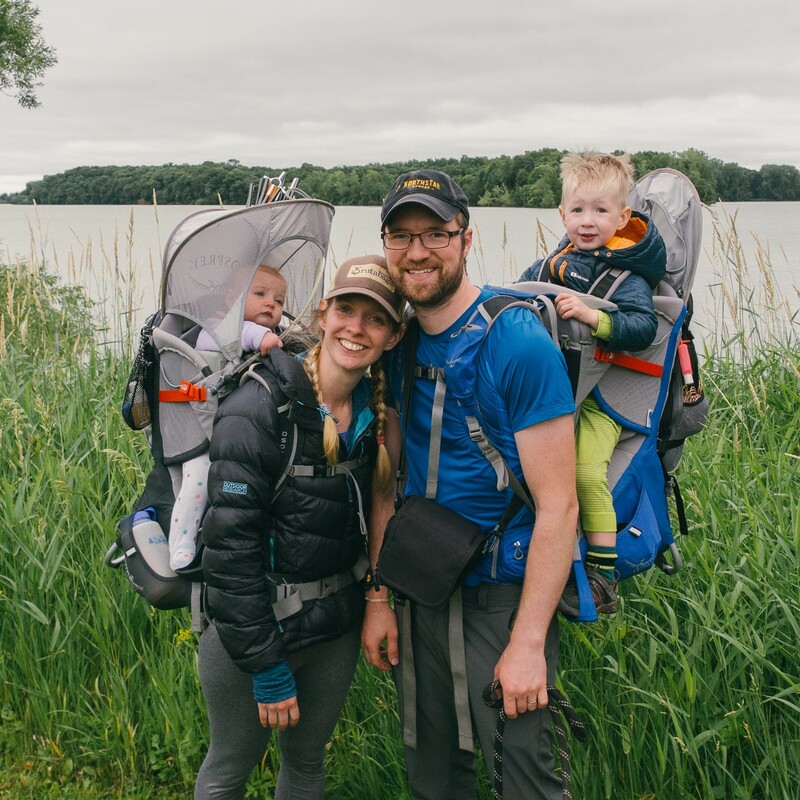 While based in Minnesota, Maura and Bobby plan regular adventures around the United States and Canada, all with an emphasis in visiting diverse ecosystems, introducing the kids to all aspects of nature, and instilling in them the tools and knowledge necessary to being stewards of the land. The couple firmly believe in the power nature holds to educate and inspire young children. 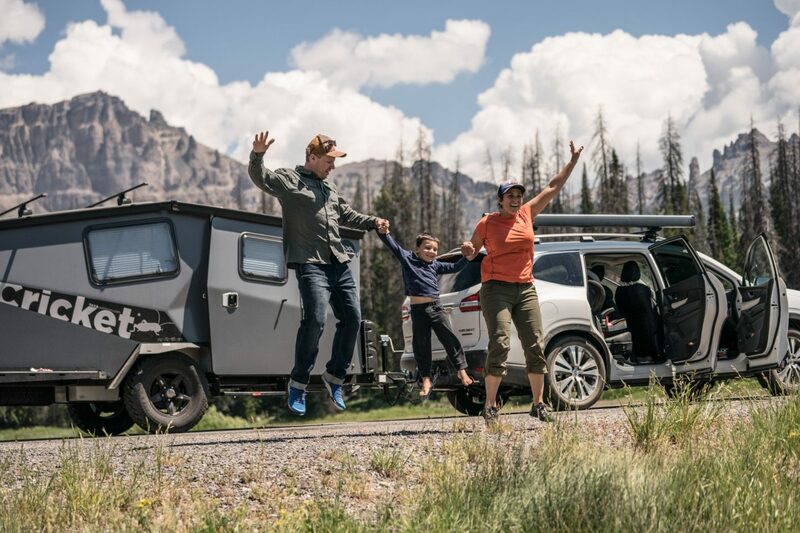 The experiences Maura and Bobby have while on these travels with Jack and Rowan serve as lessons and tools to pass on to other parents who are looking for successful adventures in the outdoors with young children along. The Marko’s speak at outdoor expos around the Midwest, teach family-focused classes at REI, and maintain a blog with trail/trip reports and many useful posts regarding tips and tricks and best gear choices. Some of the Marko’s recent adventures have included a 3 week camping trip across the Arrowhead of Minnesota by bike, canoe, and foot, exploring Utah in the wintertime (providing the unique opportunity of snowy hikes in a desert landscape), and most recently embarked on a two week stint exploring in and around Glacier National Park. Both Marko children are big fans of the Boundary Waters Canoe Area Wilderness in northern Minnesota so the family is sure to make at least two trips there each summer, often bringing Grandma and Grandpa along for the adventure. 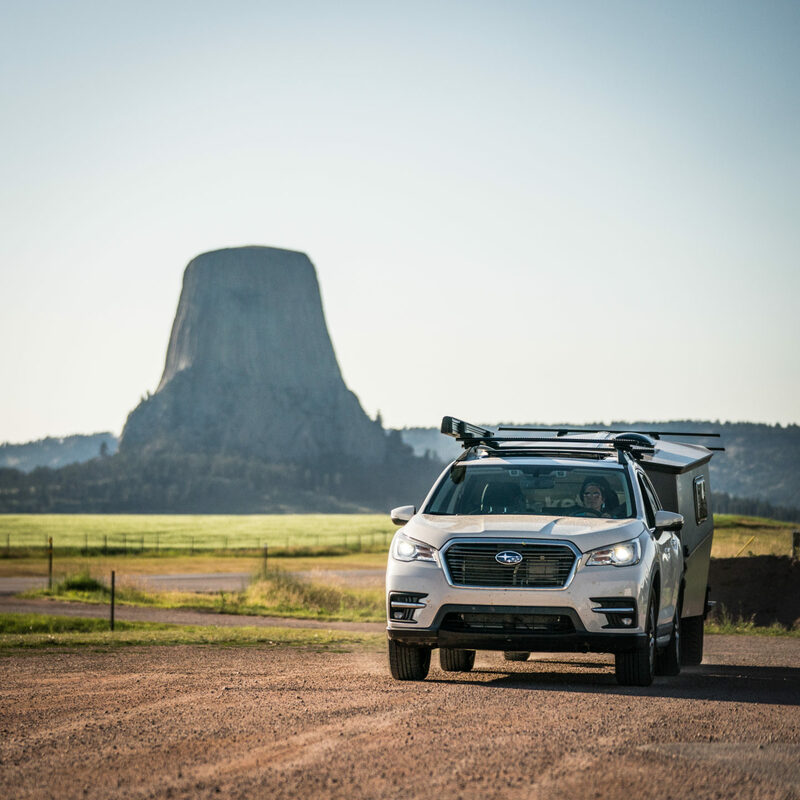 The biggest Subaru ever. 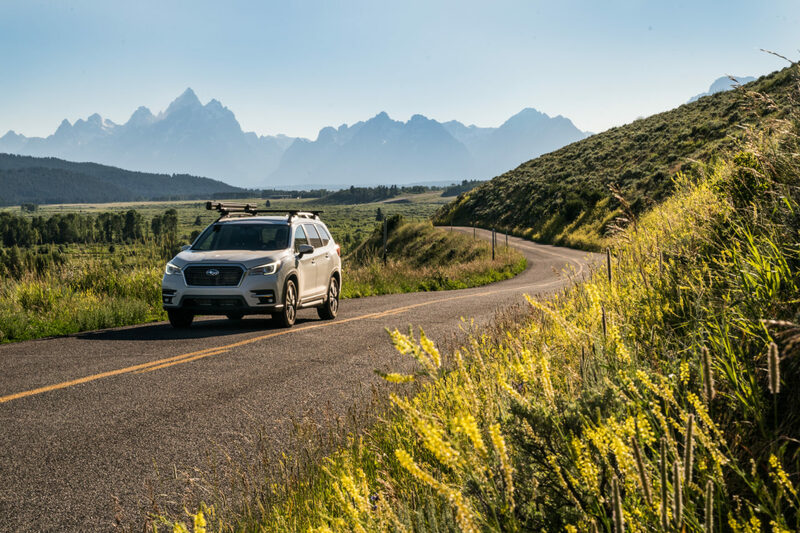 With flexible seating for up to eight passengers, standard Symmetrical All-Wheel Drive, and up to 5,000 pounds of towing capacity, the family-sized 2019 Ascent makes every day an adventure. Along the book tour Shanti and the tour crew will be meeting up with Hike it Baby friends across the country. 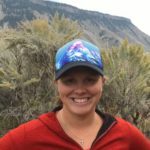 Amelia lives with her husband and 5 children in Grand Teton National Park. She loves to get outside, inspire others and find sanity in nature! 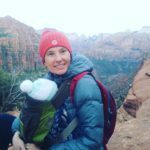 Check out her blog “Tales of a Mountain Mama” if you love outdoor family gear and want to learn more. Bailey is Hike it Baby’s Membership Manager and one of the Branch Ambassadors for Hike it Baby Indianapolis. Powered by lots of coffee and a constant need to explore, she is always looking for new adventures, both on and off the trail. And, with two little boys in tow the adventures are endless! Cathy is a Mom of 3 boys (5, 3 and 6 months). Stepmom to a beautiful 24 year old. Her five year old rocks an extra chromosome (trisomy 21) which means he has Down Syndrome and that adds a little extra to everything (mostly love, depth, joy). Living on a mountain top in Wyoming her family run a non profit Biathlon/Cross Country Ski Club and Venue. Elizabeth is mom to three wild and adventurous girls who are 12, 5, and 3. They keep her on her toes, and getting them outside keeps her family sane. 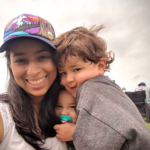 She and her husband run a small residential cleaning business, which allows Elizabeth the flexibility to be active with their kids and volunteer in her interests such as Hike It Baby and Leave No Child Inside. Annie lives in Ann Arbor, Michigan, with her husband, Mike and their two boys, Neko and Levi. 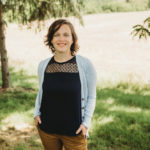 She is the Social Media and Data Coordinator for Hike it Baby, as well as the Administrative Director at a Reggio-Inspired Learning Center. 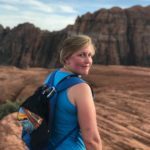 When not on the trails with Hike it Baby Ann Arbor, she enjoys camping, kayaking, traveling, baseball, and politics. You can hear an interview with her on Shanti’s podcast “Hiking my Way to Happiness” on iTunes. Krystal is a photographer for Hike it Baby from Colorado Springs. She has two kids that are just old enough to be moving on from Hike it Baby, but she’s still an active participant with her kids now leading more. Her photos have been a staple in the Hike it Baby marketing materials for the last two years. On this trip Krystal will be camping for her first time ever with Shanti. Laura is a mother of three, Zoe (12), Declan (7), and Harper (3). Wife to a former soldier, she’s a photographer and creative who has been one of Hike it Baby’s key photographers over the last few years. Laura has a unique eye and an amazing ability to capture kids in the moments when they are having the most fun on trail.